Elegantly Eighties: CLF™ Research Skyhawk™ brings back the best of ’80s CLF styling. 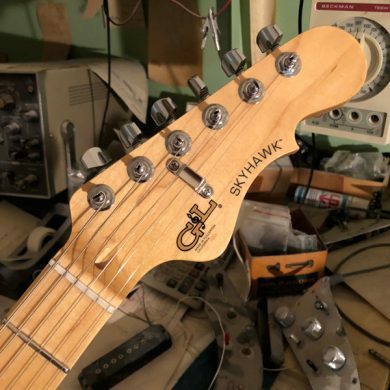 Like the original G&L Skyhawk of 1984, it starts with George Fullerton’s evolved double-cutaway with a hint of offset, a slim waist and generous curves. This very comfortable body is complemented by his arched pickguard shape, his most most pleasing iteration of the form. The elegant pickguard meets a beautifully reproduced CLF control plate in original style black wrinkle powdercoat, a perfect backdrop for the exquisitely machined and chrome plated CLF knobs for volume, treble and bass. The Dual Fulcrum Vibrato features a CLF 3/16″ machined stainless steel vibrato arm for a period look while benefiting from today’s forged brass saddles and block. And there are those three Leo Fender-designed MFD single coil pickups that defined the Skyhawk back in ’84 and the SC-3 in 1983. These meaty-yet-sparkly MFD pickups are best known as the power behind the current generation of S-500 guitars from 1989 on. In a bit of backdating, the CLF Research Skyhawk adds a mini-toggle expander switch from the S-500 so this Skyhawk leaves no tones behind. 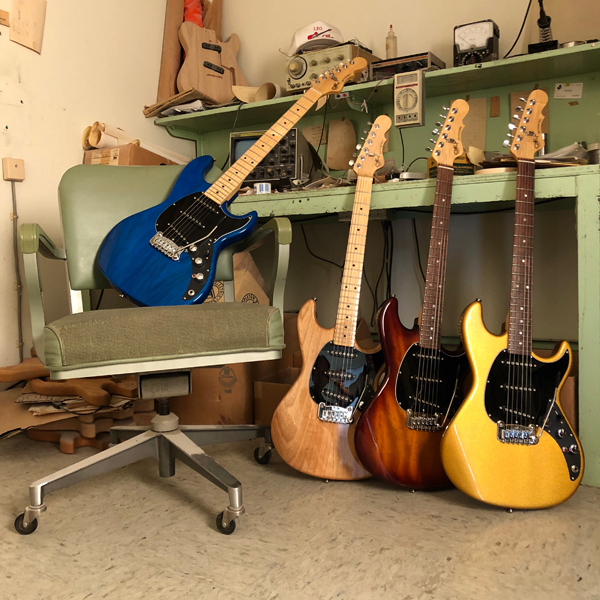 Founded by Leo Fender in 1980, G&L USA instruments continue to be made in the historic CLF Research / G&L facility on Fender Avenue in Fullerton, California, the Birthplace of Bolt-on™. 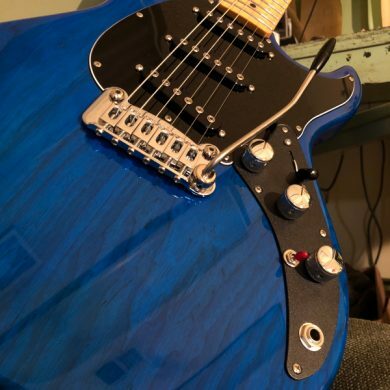 The G&L name, stylized G&L logo, distinctive “hook” headstock design, CLF, Skyhawk, S-500 ASAT, Magnetic Field Design and MFD are registered trademarks or trademarks of G&L Musical Instruments / BBE Sound, Inc.
Live! At Leo’s: JB Eckl showcases the CLF Research Skyhawk, including the versatility of the MFD pickups, PTB control system, the effectiveness of the Dual Fulcrum vibrato and more. The Live! At Leo’s studio is located at Leo Fender’s historic G&L factory on Fender Avenue in Fullerton, California – The Birthplace Of Bolt-on™. CONTROLS: 5-position pickup selector, volume, treble, bass (PTB™ system), mini-toggle switch enabling additional pickup combinations of neck+bridge or all three pickups together.